I don't know about you--but, all of the heavy, sweet, rich, absolutely-awful-and-unhealthy foods so often present throughout the fall and winter holidays take a tall on my mood, my motivation, and my waistline by late December. With Ohio deciding to skip Spring for extra Winter this year--our diets and moods are just in need of attention! It is time to drop the winter comfort foods and get the family back on track. 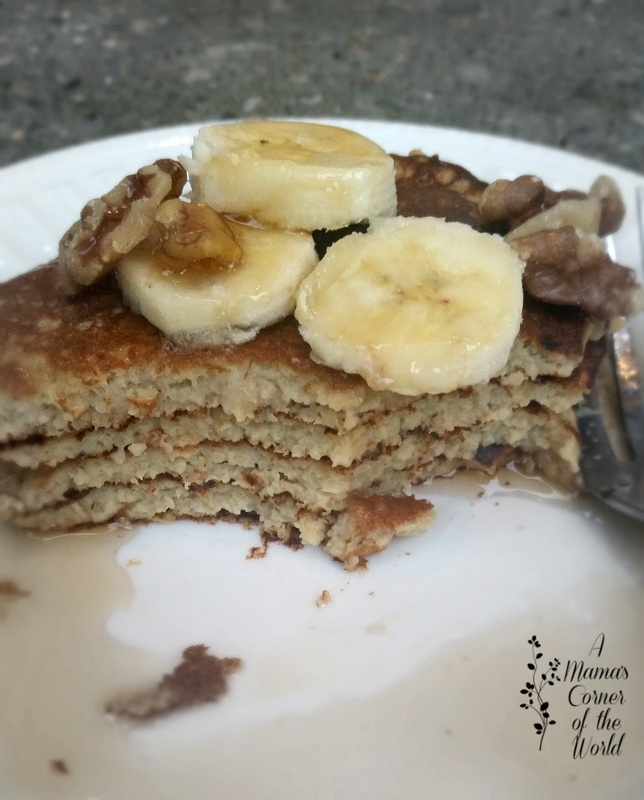 One of my go-to recipes is this healthy Banana Nut Pancake. I make it without flour--subbing in ground oats instead. It makes a filling, protein packed start to the day--and it's a nice, naturally sweet, transition away from the heavy carbs! Disclosure: We were not compensated for the creation of this post--but, we may receive slight compensation from affiliate linking within most of our posts on the site. All opinions are our own--and we link to products that we personally use and/or recommend for a given recipe or project. Prepare the Pan or Griddle. Melt the coconut oil or cooking oil of choice in frying pan or brush melted oil onto griddle and heat until hot. Mix the Banana Nut Pancake ingredients and blend. In a large blender, combine the egg whites, oats, vanilla almond mil, banana vanilla extract, and cinnamon. Blend until mixture is smooth. The batter will be thin. Fry the pancakes. Pour batter in 3-4 inch rounds onto prepared pan or griddle. Fry until golden brown on the first side, flip and repeat on the second side. Garnish and Serve. I top with a few slices of fresh banana and a few walnut pieces and syrup. This post was originally published in 2015. We have updated the ingredient list a bit over the past few years--so we thought it was time to share the updated recipe! These recipe makes 1 serving of several small pancakes. 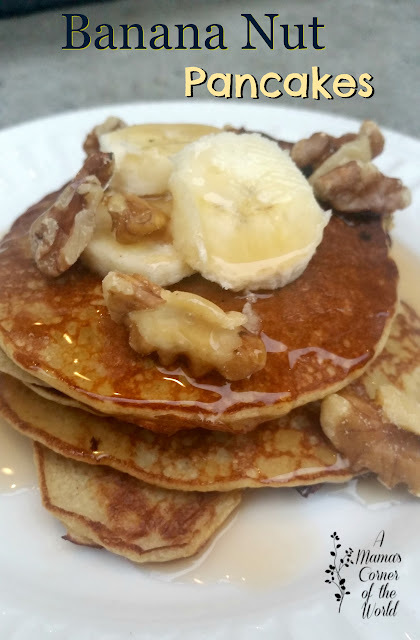 Bear in mind, if you begin adding loads of butter, whipped cream, full calorie syrup, and several walnuts--the health factor of these pancakes readily disappears! They are already a calorie and protein filled meal.